Also, I think it fair that you listen to the song that was the direct inspiration for this idea, so here you go! And don't attempt to mimic that little girl's dance moves; I don't care who you are, you'll put out your back. Wow, I'm impressed that you know that song. 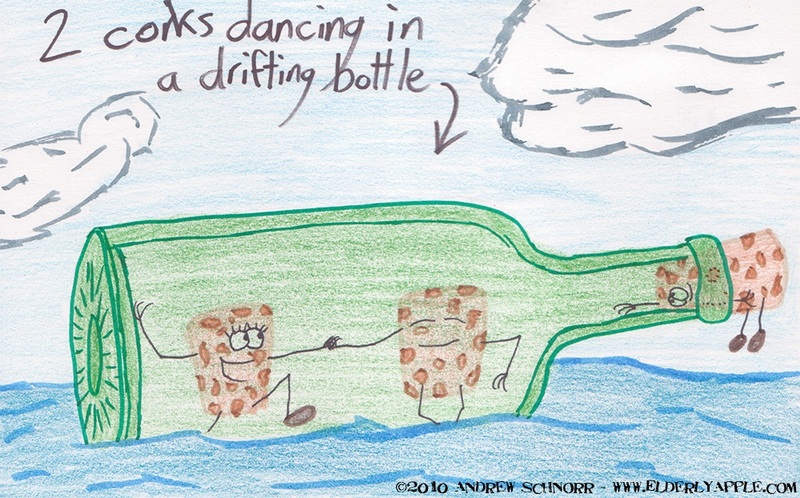 And yes, it suits our happy cork friends very, very well! Nice way to start off a Monday Morning, Thanks! i have to say, the html non-joke would actually make this a really great short film by pixar or something. and that song is great! makes me want to dance the night away!